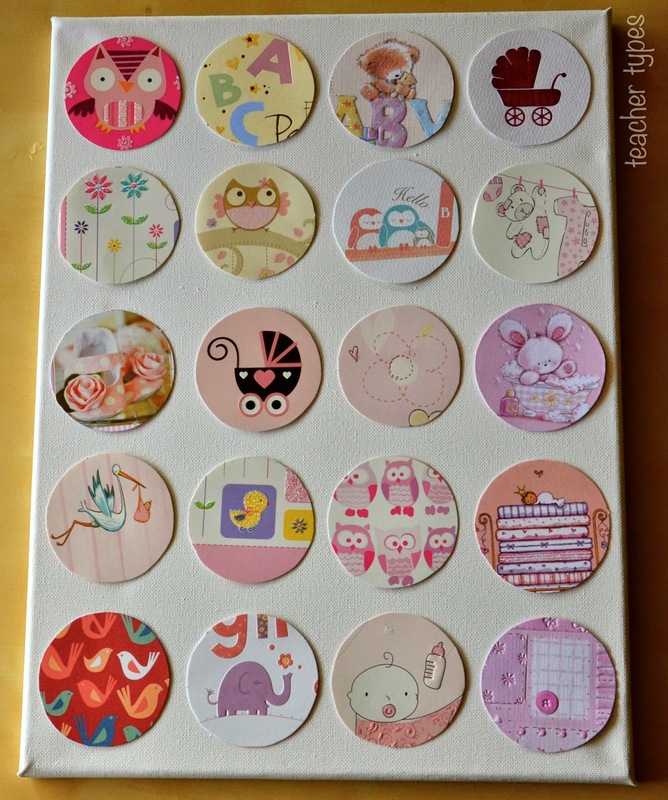 In one of my previous posts back in April I gave examples of some lovely art activities you can do with your baby's footprint. 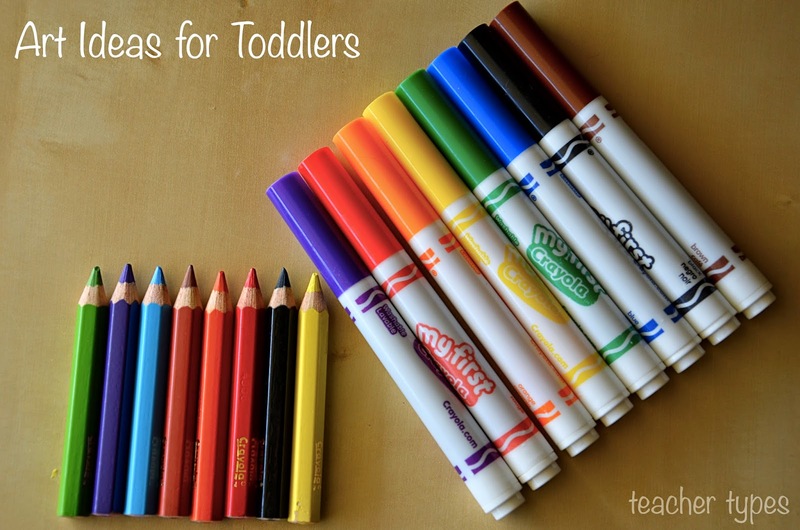 Today I want to expand on this and share some ideas for babies who have graduated to toddler hood and are beginning to be able to hold pencils, crayons, paint brushes and chalk. So to kick things off - I let Miss One go crazy scribbling on some white paper with some pencils - and surprisingly she did quite well. It was a great opportunity to teach and talk about the colours. I then traced some love hearts using a cookie cutter and cut them out. These were perfect additions for relatives birthday cards! I've also put a couple in her baby book. 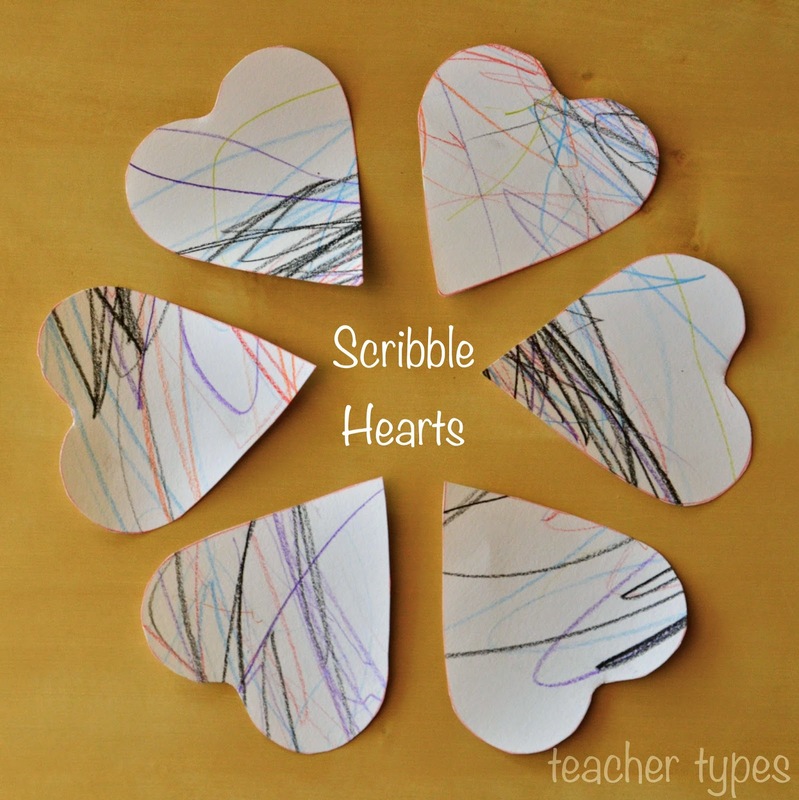 Such a simple idea that turns scribbles into something more special. 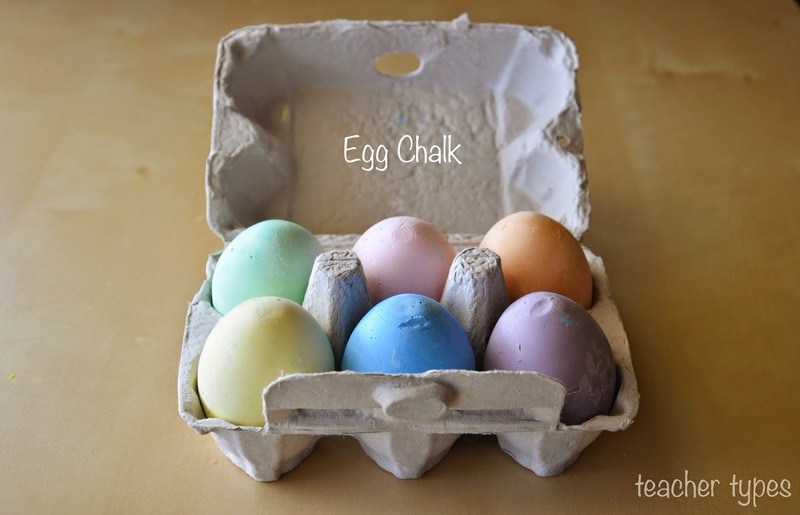 I LOVE these egg chalks that were given as a gift for my little one's first birthday. They are easy to hold and lots of fun! Blackboards are making a comeback these days - and there are many things you can cover with blackboard paint. We are planning to mount one on our back fence for fun outside drawing when the weather improves. Did you collect these Jamie Oliver stickers from Woolies over the past few months? I've been amazed at how my little one was kept occupied for ages (with my assistance) to stick them all over a numerous pieces of paper. Our next step will be to try sticker books. You could get your older toddler involved in this activity as well. Ask them to select the pictures they want from their (and your) past birthday cards, let them tell you the shapes to trace and cut. Then depending on how fussy you are with the finished product - let them do the gluing or give them a little more guidance if needed. My friend Sarah over at Sarah Tamblyn Designs is always posting lovely art and craft ideas on her blog. Her original and unique designs are inspired by the painted collage method. Pop in and have a look. 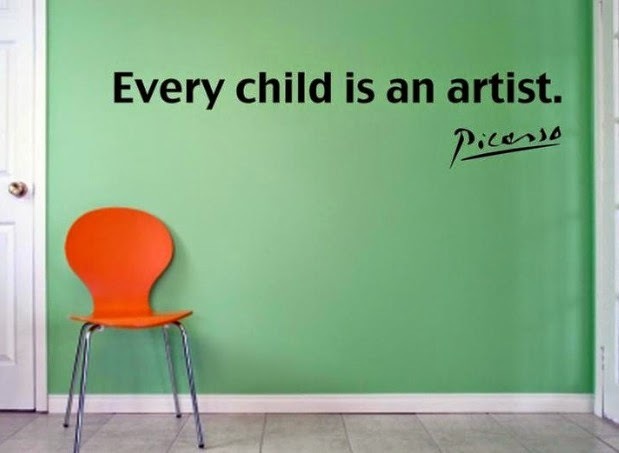 Her latest was written by a guest blogger all about Art Therapy. A really interesting read. When your children are a bit older and bring painting after painting home from kindy, I've found these two cute ideas of how to put those paintings to good use and make something new! Sooooo....teacher types has been getting a few more page views lately thanks to my birth club group on FB and the articles I've been writing for AMM have directed a bit more traffic my way. So to my regular readers - just a quick thank you! Please leave a comment if you have an idea to share or you've read something you liked - I'd love to hear from you. Allow me to explain have any child research or you want to go to class, then you will be able to go to category next to me, or you will have a good time or maybe you must travel to school. Bigpond Internet BigPond offers internet post in the whole of Australia. It was originally a government possessed company but by the time the government offered its whole risks and currently it is a totally independently had company. From the time of conception up to the delivery, the baby is confined in the safest and most sterile place in the mother's womb. When the baby is finally born, it is only the time that the baby gets to experience the external environment. Nowadays, it is obvious that babies will unavoidably be exposed to environment contaminated with pollution than in the years that passed. The time that parents and caregiver can ascertain whether the baby can cope well is when they are finally experiencing life outside his/her mother's womb. There are babies that are more prone to obtain allergies in the form of skin rash. Fortunately, there are baby car seats for toddlers reviewthat are suitable for sensitive babies which are the organic baby products.